Paramount Products' Ratchets are perfect for cinching loads tight. 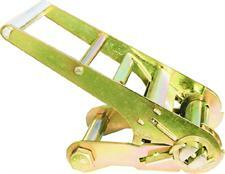 The ratchet is frequently used in contractor straps with heavyweight polyester or nylon webbing. 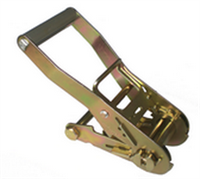 Our ratchet buckles are available in 1" to 4" in steel, and stainless steel with a variety of coatings and "Working Load Limits". 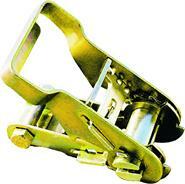 When closed the ratchet handle locks the latch into the gear to prevent accidental release. Paramount ratchets are available in one or three piece handles in either long, extra long, wide, square, or standard versions, in plastic, steel or aluminum. 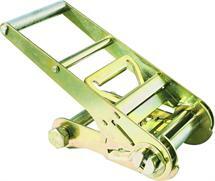 Our ratchets come with a removable rear bolt and locknut for easy field conversions.